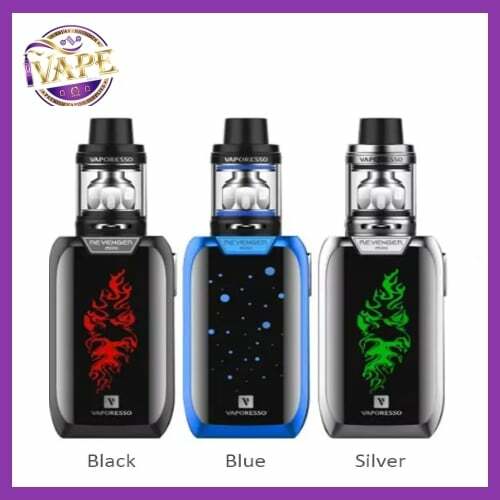 iVape welcome the Vaporesso Revenger Mini Kit slimmer smaller edition of the hugely popular Vaporesso Revenger Kit. The new Vaporesso Revenger Mini Kit has a built-in 2500mAh battery and 85W of power. It has an an OMNI 2.2 chip, the Revenger offers various vaping modes and 2.5A quick charging system. The popular NRG SE tank is also included which take various coils such as Flow, Baby Beast Coils, and ofcourse the GT Core Coils. Ok so if you like lights and colours, small and powerful then this is the kit for you. 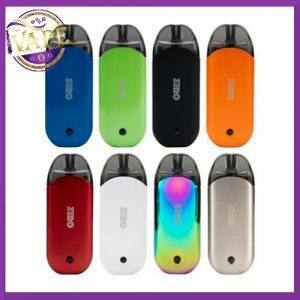 TheVaporesso Revenger Mini Kit is the newest addition to the Revenger series and it features a unique lighting pattern. The compact Vaporesso Revenger Mini Kit has a built-in 2500mAh battery with max 85W output power. 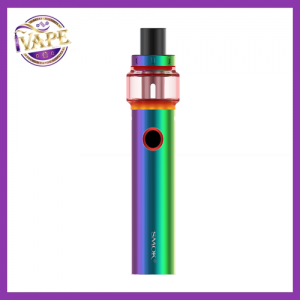 Powered by the latest OMNI 2.2 board, it offers a variety vaping modes with a user-friendly UI. It also supports max 2.5A fast charging. And the NRG SE tank adopts slide-n-fill design, adjustable bottom airflow and interchangeable GT cores. GT Core cols have been very popular and they promise to deliver great flavor and vapor production. Note: There is always an inherent risk when using any rechargeable batteries at anytime and under any circumstances. 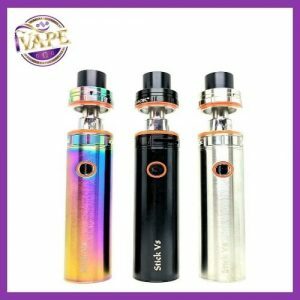 irishvape.com is not held responsible for any damage for any modification of the batteries, chargers, devices and other products that we carry in any form or shape, this is including pack making. Great starter kit. I thought it was too big but it’s not It fits really well in my hand and is not too noticeable. Love the colours too! This is my second kit and I do love it but I like to Vape at 70watts and the battery drains in half day on me. I’m going for 2 battery kit next time. I know iVape you advised me to do that st the time but….. highly recommend.